Several technic parts were released for tuning cars. These parts are mainly used for non Technic Category technic cars. This year nothing spectacular was released. 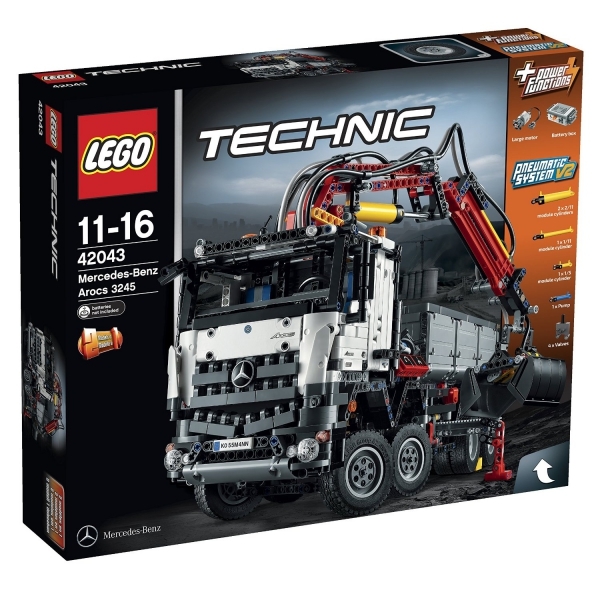 A lot of technic educational packages are released in stead. Besides that the series of Lego Technic Starwars was extended with a figure for R2-D2, Darth Vader, Jango Fett and Super Battle Droid. From real Lego Technic 3 non complex starter sets are introduced. There was a Formula One set released '8461 Williams F1 Racer' but not in the Technic category although it contains a lot of Technic Lego. This year however a few technic parts are released which will become the hit of the decades to come like the blue "Axle Pin with Friction Ridges" and other small elements which will support the design of smaller future Lego sets like the "Axle and Pin Connector Perpendicular 3L with 2 Pin Holes" and "Axle and Pin Connector Perpendicular Double Split". These parts will make it much easier to change building directions in small areas. In line with the current strategy for Lego Technic, making models more realistic several new panel fairings were introduced. The year 2001 two big events; the introduction of Bionicles and the introduction of a new 'Super Car', although not everybody will consider this model 8466 '4x4 off-roader' as 'Super Car'. The theme word is a combination of "biological" and "chronical". The concept can be seen as a continuation or successor of the former themes; Slizers/Throwbots and RoboRiders. Also the characters of Bionicles are based on classical elements Earth, Water, Fire and Air. Although the earlier sets of Bionicle were interoduced under the flag of Lego Technic it rapidly evolved into its own theme by the enormous success it has. Strong point is probably the story lines for which Greg Farshtey is responsible. Even Lego Group still mantains a Bionicle site although the Theme was discontinued in 2010. Mata Nui has been busy since defeating the Skrall leader Tuma and helping Glatorian and Agori unite on Bara Magna. His quest to free his people, enslaved by the evil Makuta, continues as he journeys to the north. There, he finds an ancient fortress of the Great Beings, his creators. Inside, Mata Nui discovers a source of power so great that it could bring the smaller robot found on Bara Magna back to life. See for more stories Bionicle Site. I consider the 8466 Off-Roader released just 2 years after the Street Sensation as a Super Car also because it has the same features as 8448, but with an additional feature of all wheel drive! This off-roader is still a cross over model from technic bricks to technic lift arms. In this model however the amount of lift arms used is much more than technic brick used. The front and rear train are build out of technic lift arms so looking good. Funny is that the chassis is still designed with technic bricks which rises your eye brows during building this model. The technic design of the all wheel drive is very like reality. Differentials in front and rear train and a differential incorporated in the gearbox. This model also uses the approach of a chassis with different coach models. Besides you could build a pneumatic tow hook with set 5218. Starwars sets under the Technic theme. In 1999 the first Starwars set was released in the Mindstorm theme. This years release contains 3 droids; Pit DroidTM, Battle DroidTM and the Destroyer DroidTM. The sets are considerably detailed counting the pieces ranging from 236 to 654 pieces per set. New is a kind of tuning sets for cars. This contains a tyre set a side skirt set and 2 different chassis with which you can design your own racing cars. Additionally a few smal starter sets are introduced. Strange thing is that the same sets for Asia get a different model ID. Probably because of the fact that the text on the boxes are in Japanese. Besides the small starter sets and the Starwars sets a big formula 1 set is released consisting of 1443 pieces named the Silver Champion. This set introduces new tyres specifically for racing cars reused in later F1 Ferrari and Williams sets. Also a new part is introduced to mimic the wishbone suspension technic we know from racing cars in real live making this model very realistic. Also this year the Slizers aka Throwbots are continued from 1999 with 3 new sets. Additionally a new series of RoboRiders was a TECHNIC theme launched by LEGO in 1999 as a successor to the Slizers theme. It was short lived, and was discontinued in 2001, when it was replaced by BIONICLE. 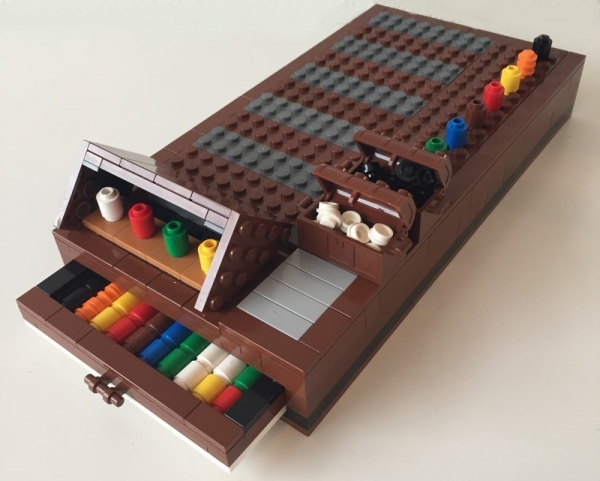 These sets were well marketed by Lego including dynamic designs and bidon like packaging in stead of the oldfashioned carton boxes. It also came with a story and a website. Nevertheless this theme only lasted for one year. In this year sveral new technic parts are launched like the reinforced shock absorber to carry bigger sized cars. The liftarm was introduced first time in 1989 with just one type. In the years after new once were introduced one by one. In 2000 however 10 new liftarms are introduced which is a big amount considering the release of 14 liftarms in the 11 years before. The 3, 5 and 15 long and the L-shape 3x5 and some thin once.